Not just a new look that will be presented at the Toyota Avanza 2012. For type 1.5 Avanza Toyota Avanza will use the name Veloz. Also circulated a recent photo of Toyota Avanza 2012 on one of the automotive forums. If some time ago leaked pictures for the front and aft, is now more complete. According to the source of reliable information, reservation All New Avanza have been opened. The price will be no increase of about IDR 50-10 million. "For a brochure and wait until the launch in November," explained the source. "If the message is now the car will be delivered in January or February," he said. "There are also additional new color like the color on the Innova, which is gray and white, and no longer blue and brown," he added. Dashboard will carry the new model, a more modern and the distance the front seat and dashboard will be more spacious than the previous version. Best-selling cars in Indonesia will continue to use the 1.3 L engine and 1.5 L and is claimed to be more economical. Reportedly able to penetrate 14 km/L. While his twin brother Daihatsu Xenia has her new face 2012 terendus in cyberspace. 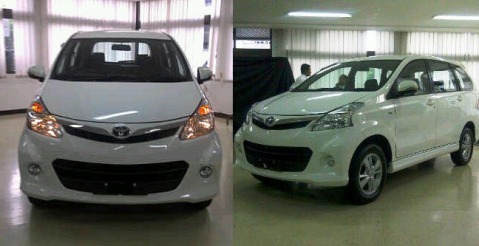 Party Astra Daihatsu Motor (ADM) has recognized the new design Xenia that leaked on the internet is true. Even the salespeople Daihatsu has opened bookings.